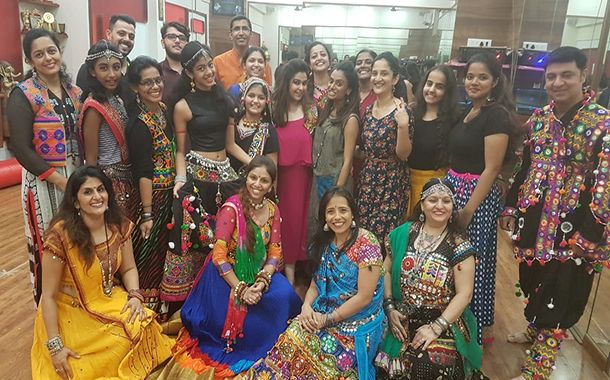 Mumbai: To match up with the festive craziness, Magic 106.4 FM has joined hands with Dance with Madhuri and have launched Garba coaching classes. Dance with Madhuri is an online dance academy venture by Bollywood actress Madhuri Dixit, which gives its users the chance to learn various dance styles from the best choreographers. To recognise the Garba skills of Mumbaikars Magic 106.4 FM got popular choreographer Kruti Mahesh on board to provide Garba training. Kruti Mahesh has extensively worked with Madhuri Dixit and is also a part of her online academy. Kruti Mahesh went on ground to train the selected winner societies and enhance their Garba dance skills. Taking the garba hype a step further, some lucky listeners also won passes for popular pandals making the festivities brighter for them. Tags: Garba coaching classesjoined hands with Dance with MadhuriMagic 106.4 FMonline dance academy venture‘Dance with Madhuri!